Priyanka Chopra and Nick Jonas are now soulmates for life. The couple got married at the Umaid Bhavan Palace in Jodhpur. The couple got married in both Hindu and Christian ceremonies. Priyanka Chopra donned a red lehenga by Sabyasachi for her Hindu wedding. The lehenga was customised according to the bride's desire. It has been revealed now that Priyanka's lehenga had her husband's name Nicholas Jonas sewn into it. 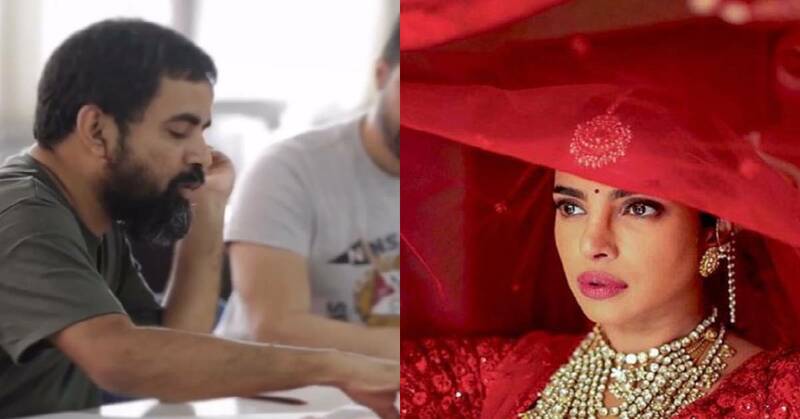 Sabyasachi shared a video which shows how PC's lehenga was created. In the video, it is shown how Nick's name is sewn into it. We cannot stop admiring this lovely gesture. The couple hosted a lavish reception in Delhi. PM Narendra Modi also graced the occasion. The couple returned to Mumbai recently and will also host a reception here. We surely cannot get enough of this couple.